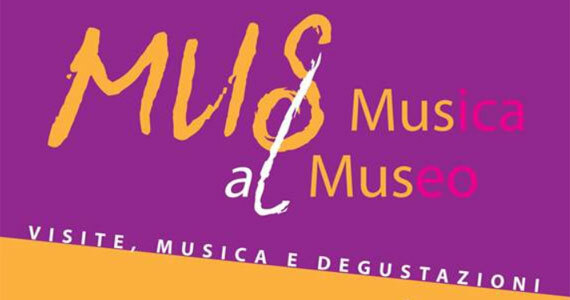 If you’re in the enchanting San Gimignano or the magnificent Pienza this July through early August, I recommend a special evening enjoying “Music at the Museum“! In San Gimignano, the initiative is taking place within the suggestive museum center that hosts the Archaeological Museum, Gallery of Modern Art and Spezieria di Santa Fina while in Pienza, the event is within the courtyard and gardens of the splendid Renaissance Palazzo Piccolomini. Art accompanied by the sounds of classical music played by international artists on the violin, cello, flute, guitar and through voice solos pieces from Bach to Puccini. Each evening and town includes a visit to the corresponding museum(s) which hosts the event: in San Gimignano, you will be able to visit the various Civic Museums in town. You can enjoy the music on the terrace of the Modern Art Gallery, then move on to visit the ceramics within the Spezieria di Santa Fina, the findings of the Archaeological Museum and a guided visit to the temporary exhibit dedicated to Elliott Erwitt, photographer of Marylin Monroe, Grace Kelly, Che Guevara, to cite just a few of the illustrious people he has immortalized. An aperitivo will be offered throughout the evening in the garden, and then you can move on to Torre Grossa at the Palazzo Comunale to enjoy a night panoramic view over the medieval town. In Pienza, the courtyard of the Palazzo Piccolomini will host the evening classical music concerts. Included in the evening are the marvelous views of the Val d’Orcia you will enjoy from the palazzo’s loggias and its gardens, a visit to the palazzo’s “piano nobile” (with audio guide) and the chance to discover the world of wine in ancient times in the Mediterranean through the exhibition “Vinum Nostrum“, currently hosted at the Palazzo Piccolomini. In the garden, enjoy tastings of Tuscan food specialties and the fine red wines of Brunello di Montalcino and Morellino di Scansano. The evenings between July 8 and August 8 offer a chance to bring the mix of the arts and senses together and make it a splendid experience to remember as part of your Tuscan stay! in San Gimignano: July 8, 15, 23 and 28 and August 8, from 7 to 10pm. in Pienza: July 9, 16, 22, 30 and August 7, from 6 to 8pm. The cost for the evening is 15 euro, children up to 11 enter free. Residents can participate with a discount. mus@operalaboratori.com or by phone at: +39 0577 286300. The events are organized by Opera-Civita Group.